Jamie Pounds is someone who places a high value on health. He developed a belief over the years that many common ailments, illnesses and diseases that plague our societies have a nutritional (diet) root cause. He believes there is a nutritional solution to almost every health problem. 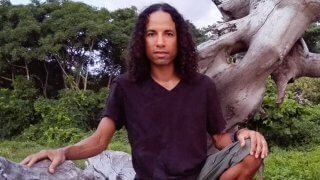 He became fed up with following the norm and setting himself up to suffer from preventable health conditions and illnesses later in life as he saw so many others do. And so years after he left California, where he grew up, he took matters into his own hands and embarked on a journey to optimal health. 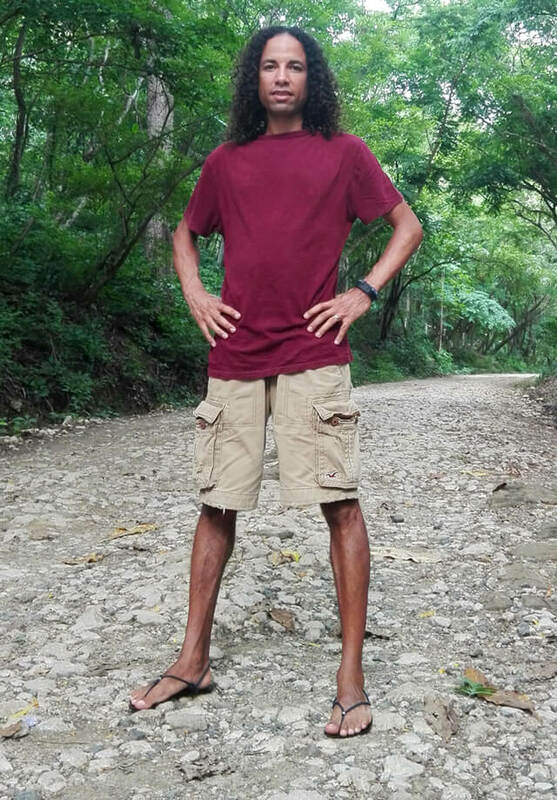 Jamie’s journey to optimum health has taken him from eating a standard American diet through many variations of a vegan diet. He eats a diet that consists of mostly local in-season organic fruits and salads. He enjoys growing food in his small garden and would like to one day grow all of his own food. 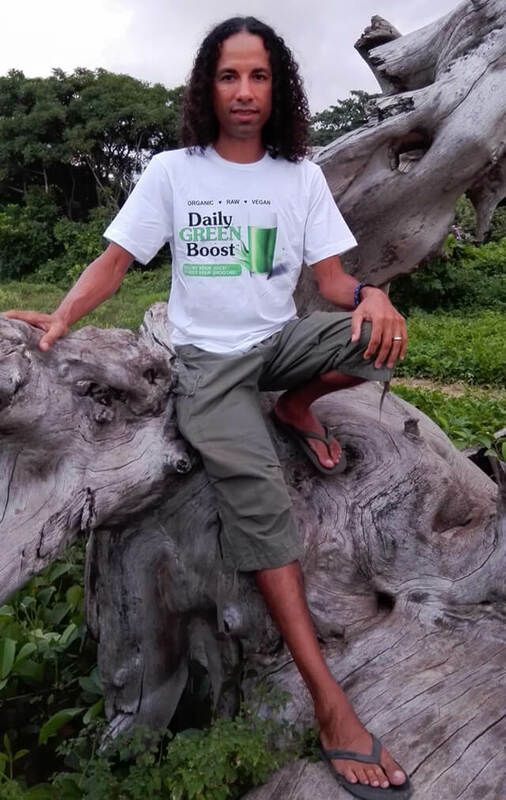 He also really enjoys running Daily Green Boost, a barley grass juice powder product that he created so he and others can get high-quality nutrients at an affordable price. 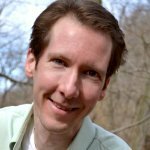 He posts a lot of what he eats on Instagram, Facebook, Google+ and Twitter and offers his product at DailyGreenBoost.com. I grew up with almost no thought about the differences between foods in terms of their nutritional value, immediate negative effects or long-term negative effects on my health. I now recognize that I suffered from many conditions because of all of the poor food choices I made for so many years. I was like many people I see today. To me, all food was meant to be eaten at any time in any quantity unless I just didn’t like it. I had no knowledge or concern about ingredients or healthiness. Really, my only rules of health growing up were to include a vegetable with dinner and to eat dinner before eating dessert. I’m in disbelief when I look back at how much candy, sugary foods and drinks, processed foods with artificial ingredients and insanely high-salt and -fat foods I consumed without giving them even the slightest consideration. Over time, I questioned my actions when it came to eating animals. I would go fishing and feel squeamish when it came to the part of killing and cleaning the fish. At the time, I overcame my natural inhibitions as I didn’t want to be a “weenie.” Later on, as I ate a “big size” double cheeseburger meal at a fast-food restaurant, that was a regular meal for me, I questioned if I would eat the cow I was eating if I had to kill it myself. When I thought about it, I couldn’t understand how we could befriend some animals and eat others. How was it that a dog was a pet while a cow was food? Why was an eagle an idol while a chicken was dinner? Once I really searched within myself and honored the feelings I was having, I realized I didn’t have a killer instinct when it came to animals, and I would much rather see them alive and be friends with all of them instead of eating some of them for dinner. After a Thanksgiving dinner, I decided, “I’m not going to keep going through this.” During that holiday meal, I had piled my plate so high and stuffed myself so much that I was uncomfortable, in pain and thought that I might even get sick. I had an overwhelming feeling that if I wanted to live a long and healthy life, I would really need to change the way I thought about food and therefore change the way I ate. To the amazement of my family, I skipped the holiday leftovers and started a Master Cleanse fast the very next day. I haven’t gone back to eating the same way since. At the time, I didn’t know it was called a vegan diet or didn’t know what a healthy diet should be. My decision to stop eating meat and animal byproducts was mostly an expression of my desire and willingness to be very different in order to get something very different from the average person. Initially, my diet stayed a lot the same, only using vegan ingredients. Once I changed my goal from eating better to eating for optimal health, then my diet changed dramatically over time. I became aware that vegan sodas, cookies, cakes, etc. that I had been eating would not be a part of my diet for optimal health. Juicing gave me three main benefits along with an additional unexpected benefit. Although I don’t recommend for others to juice the way that I did, I took it to the extreme and did a long-term juice fast, consuming nothing but green juice. I got the most nutrient-dense diet I had ever had. I bought more fresh produce than I ever had in my life. My shopping cart looked like I was buying for a restaurant or small village. Jamie Pounds looked at life with new eyes, thanks to making lifestyle changes in tune with his body’s design. 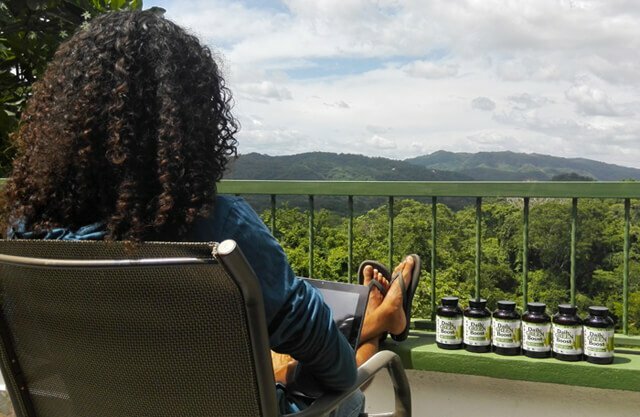 Here, the fruit-based raw vegan works on projects connected to Daily Green Boost, a barley grass juice powder supplement he sells, from a balcony in Costa Rica. 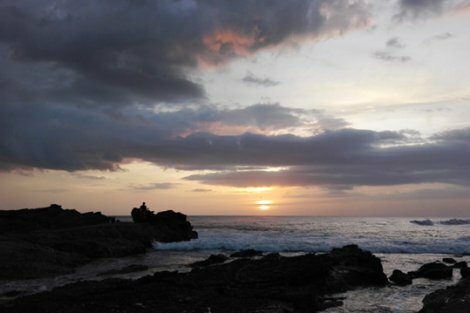 I got an opportunity to detox and rest my body in a way that I never imagined. With only the cleanest and purest nutrients going in, my body digested them quickly and easily with lots of time between digestion to rest. Without any processed foods going in, my body was able to detox and purge any buildup from my previous unhealthy eating. A fruit-based diet sounded so simple, so perfect, so easy. What could be more pure and simple than eating an abundance of delicious fruits and greens the way we find them in nature? I was looking for the healthiest possible diet that I could start eating after my long-term juice fast ended. What diet was going to lead me on the next leg of my journey to optimal health? I researched my options and discovered the fruit-based diet. It made a lot of sense to me how a fruit-based diet and, specifically, a low-fat fruit-based diet would be the best fuel for my body. I usually like to keep things simple, and so I was attracted to the simplicity of eating this way. After I started eating a fruit-based diet, however, I learned that it wasn’t as simple as I initially thought. I learned about things such as goitrogens, nightshades, food-combining rules, etc. 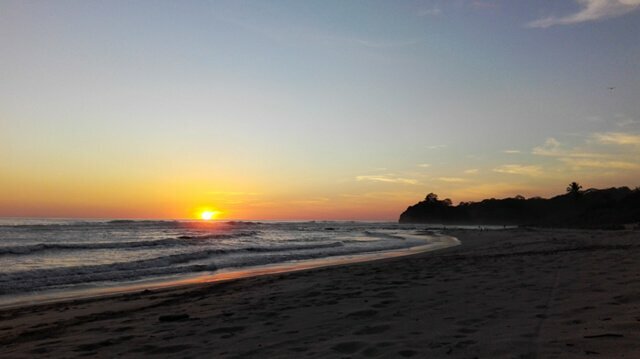 In Costa Rica, Jamie enjoys spending time at a beach. I have heard of people who try the fruit-based diet and get discouraged because it doesn’t work for them. I think this is largely due to the overly simple way it can be presented and attitudes of “One size fits all” or “It worked for me, so if it doesn’t work for you it’s because you’re doing something wrong,” or “You’re not eating or enough, not exercising enough, etc.” It hasn’t been the instant bliss that I hoped for, but I think that I have gotten a lot of benefit from eating this way and that it is helping me get closer to the optimal health I seek. At least for now, a low-fat fruit-based diet is where it’s at for me. For me, a day of eating would be painfully boring for most people. I like to keep things simple and have been keeping things extra simple lately as I work to identify the root cause of some digestive upset I have been experiencing. 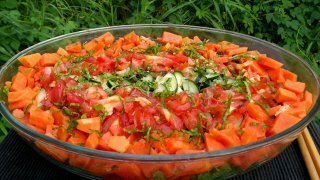 At the moment, I eat a bowlful of diced papaya smothered in blended lettuce and cucumber for my first two meals of the day. I then eat a salad with cucumber, tomato and lettuce for dinner. I’ve gotten to the point where I don’t even notice that I don’t use any dressing on my salads. Sometimes, I may add some brown rice or potatoes. Sometimes, I’ll add a splash of lime juice. 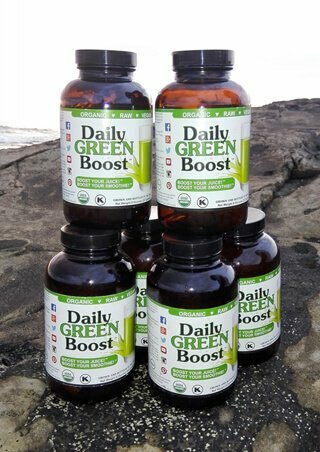 I launched Daily Green Boost after I became frustrated when I couldn’t find a product that already existed that met my needs. I did some nutritional testing with the help of Don Bennett after I transitioned to a fruit-based diet. I had saturated my body with loads of vitamins and minerals from the long-term juice fast I had completed. I was eating a high-fruit diet that included a seemingly inhuman amount of fruits and greens but was still dealing with food cravings and not feeling at my best. In addition to helping me find and correct some severe nutritional deficiencies, he educated me about how commercial farming practices can result in fruits and vegetables that lack nutrients, even if grown organically. When we eat these foods that lack vitamins and minerals, our bodies become deficient in the nutrients they need. He introduced me to barley grass juice powder as a way to add needed vitamins and minerals to my diet that are plant-based, pure and readily absorbable to the body. By the third taste, I was hooked. Not only did I feel great when using it, the food cravings that had been very prominent during that time vanished almost completely. There was one problem, however. After trying many barley grass juice powder brands, I found that some products were of very high quality but were also very expensive. I also found products that cost less, but their quality was not high. I wanted high quality and a low price so that I would get the most benefits and be able to take as much of it as I wanted to instead of taking a tiny amount because the price was so high. I got in contact with the manufacturer of what I and many others think is the highest-quality barley grass juice powder. I found out that they offered private-label manufacturing. In essence, they would take their high-quality product that people pay a small fortune for, put my label on it, and then I could sell it for a fraction of their price. 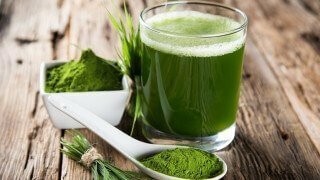 It would allow me to offer the highest-quality barley grass juice powder at the lowest price. Daily Green Boost was born. I’ve learned that things often aren’t as easy as they initially seem. And I’ve learned that many times a fruit-based diet is presented in a way that is overly simplistic. I’ve also learned that learning is an ongoing process. Each time I think I have “the answer,” I learn something else and find new answers. I’ve learned there are varying degrees of “healthy.” Many people say they want to be healthy, but they don’t share the same definition of what being healthy means. I’ve learned that many doctors know very little about nutrition, are focused on symptoms instead of root causes and will prescribe medication for some things that have a nutrition-related cause that can be easily corrected. I’ve learned that “as within so without” also applies to the food we eat. I’ve learned to pay close attention to how my body reacts to the food I eat. After eating, I notice whether I am tired or energized or have digestive upset or a runny nose, etc.? These can be important clues that are easily overlooked. I envision a fruit-powered world as being a kinder, gentler, smarter, healthier and happier place. Our societies are plagued by completely preventable conditions and diseases. We poison ourselves a little with ingredients and “foods” that are toxic to the body and, at the same time, starve ourselves a little of needed vitamins and minerals with each meal that we eat. The effects are so slow that they can be easily attributed to “just getting older.” So much of our collective time, money and efforts are unnecessarily spent finding and treating these self-created conditions and diseases. Once we can redirect those resources to more ingenious and advancing activities, then the world will transform into a much different place. I think about how different the world would be if we filled our bodies with the best, most nutritious fuel possible instead of filling our bodies with food that causes tension, fatigue, disease, etc. When we eat foods that causes tension and disease, we can’t live up to our highest potential. But what if everyone ate the best, most nutritious food possible? And what if people didn’t eat processed, toxic and stressful foods? Wouldn’t each of us be healthier, happier, a little smarter, a little more energetic and motivated? Won’t new ideas and breakthroughs flow more readily to an energized and nutritionally abundant mind than one that is clogged with toxic and energy- draining foods? We’ve had the Industrial Revolution and the Information Revolution. I envision the next revolution being a food revolution that leads the way to a world that is so much better than today’s world that I can’t even imagine the full extent of the possibilities. 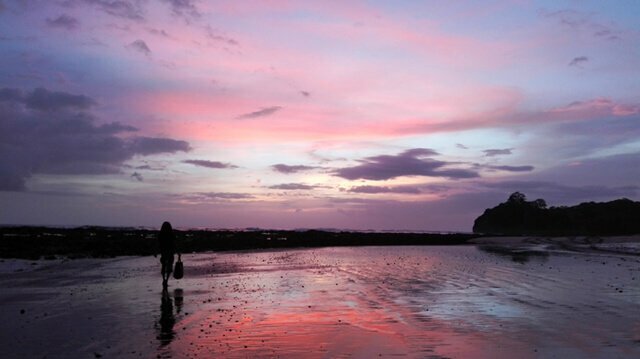 Jamie Pounds walks along a beach in Costa Rica. 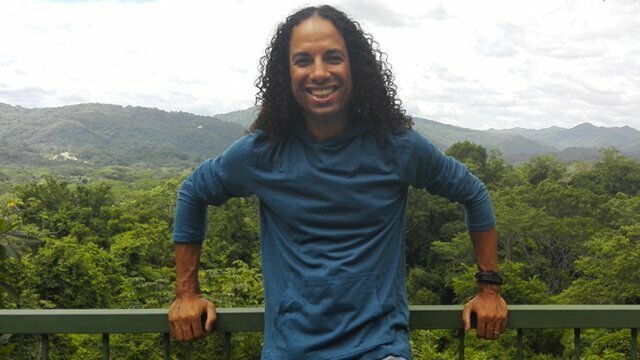 He and his wife moved to Costa Rica for an opportunity to grow and experience a new kind of lifestyle. 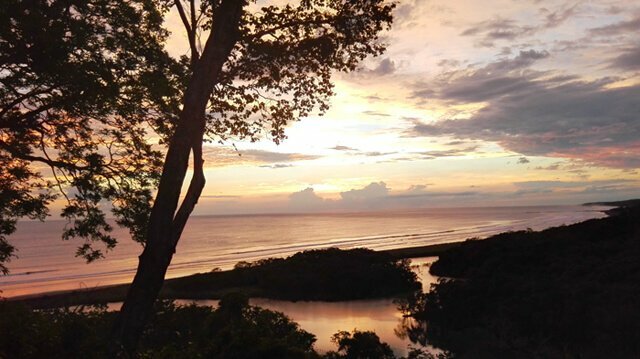 I moved to Costa Rica for what I’m calling a “life break.” A time to simplify things, regroup, reprioritize, focus on myself and my marriage, explore what’s important to me and connect with my passions in life. 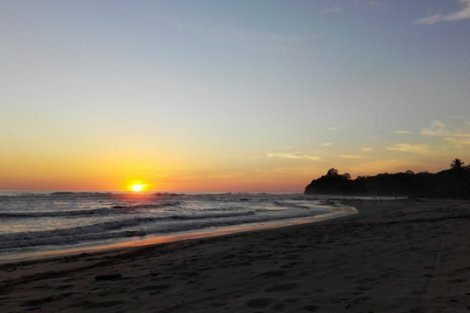 An important reason for choosing Costa Rica is the low cost of living that allows me to live comfortably without the need to have most of my time focused on making money. In addition to the low cost of living, it has warm weather, an abundance of locally grown organic fruits and vegetables, a connection with nature and a simpler way of life. I’m living in a house without a TV for the first time in my life. There are no fast-food restaurants, shopping malls, traffic jams or even paved roads where I live. 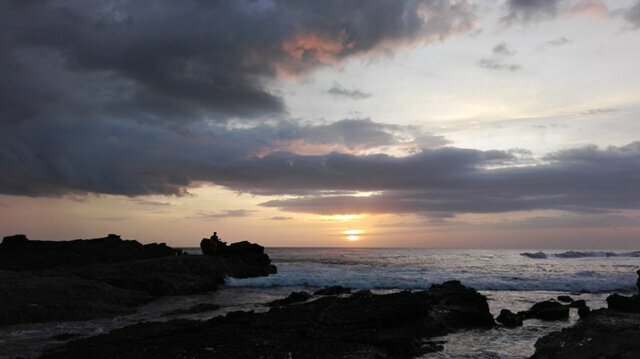 But there are beaches, the jungle, friendly people and a way of life that is a fertile breeding ground for inner reflection, connection, inspiration and breakthrough. A day in my life right now would bore most people to death. 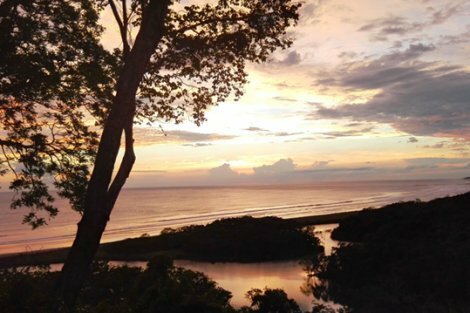 I wake up around sunrise usually to the calls of howler monkeys and a wide assortment of birds. I sit outside and eat my first meal in nature with a great view of the hillside. I water the plants that are growing in the small garden I have. I take a shower, and then I’m ready for a couple of hours of “me time.” This could include going for a walk, pulling weeds while listening to an audiobook or working on something that’s on my to-do list. If it’s a food-shopping day, then I’ll make a run to the fruit-and-veggie truck before preparing and eating my second meal of the day. 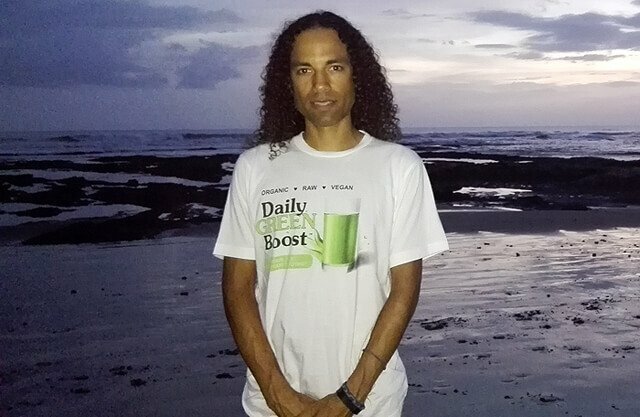 After lunch, I have a couple of hours to work on Daily Green Boost items or any projects that I have on my list at the time (like this interview). Then it’s time for “us time,” when my wife and I spend a couple of hours together. We may sit in nature and talk, do a values workshop together, do some brainstorming for a project, listen to something inspiring or walk on the beach. After “us time,” it’s time to prepare and eat my salad dinner and anything else I may have with it for my last meal. After that, I make a post and spend a little bit of time on social media. Then, some nights, I may watch an episode of Human Planet, Cosmos or something similar on Netflix with my wife. Shortly after that, I go to bed early in the evening, usually within a couple of hours of sunset, so that I can get plenty of rest. When people find out I’m living in Costa Rica, they ask if I’m doing a lot of surfing or if I’ve been exploring the volcanoes or rainforests, or going to the beach every day. I understand their questions as those are things that many people come here for. I don’t surf, however, and I’m here with different objectives in mind. I don’t know how this adventure will turn out or end, but I’m really enjoying it so far and look forward to finding out what fun, inspiring and amazing things lie ahead. Discover Jamie’s Top 12 Tips for discovering a happier, healthier you! Hungry for more? 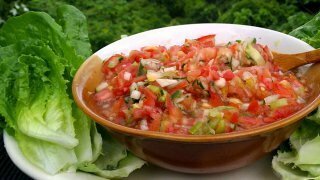 Check out Jamie’s Simple Salsa Bowls and Simple Sweet Fruity Salad recipes!